Be sure to read all safety tips from the manufacturer. Check the unit for black mold (if the unit has been used previously). If there is mold present, the unit should be properly cleaned or discarded. If the unit is heavy, two-person lifting is highly recommended. Be sure that both the electrical circuit and the electrical outlet can handle the load. When in doubt, have a licensed electrician inspect your home’s wiring and advise you as to whether it will safely handle air conditioning units. Always plug an air conditioner into a grounded (three-prong) outlet. If an appliance cord plug doesn’t fit an outlet, have a qualified electrician replace the outlet. If you must use an extension cord to reach a grounded outlet, make certain you use a cord designed for air conditioners and that it is UL listed, meets OSHA specifications, and can handle the power needed by your air conditioner. Have your air conditioner cleaned and inspected before summer. Conduct routine maintenance checks during the summer such as regularly changing or cleaning filters. Don’t let heat build up and then attempt to cool areas immediately by turning the controls to maximum settings. Start units early and cool areas throughout the day. Close blinds and curtains on the west and south sides of your home to block out the sun. Wait until late evening to use heat-producing appliances like ovens, dishwashers, and clothes dryers. 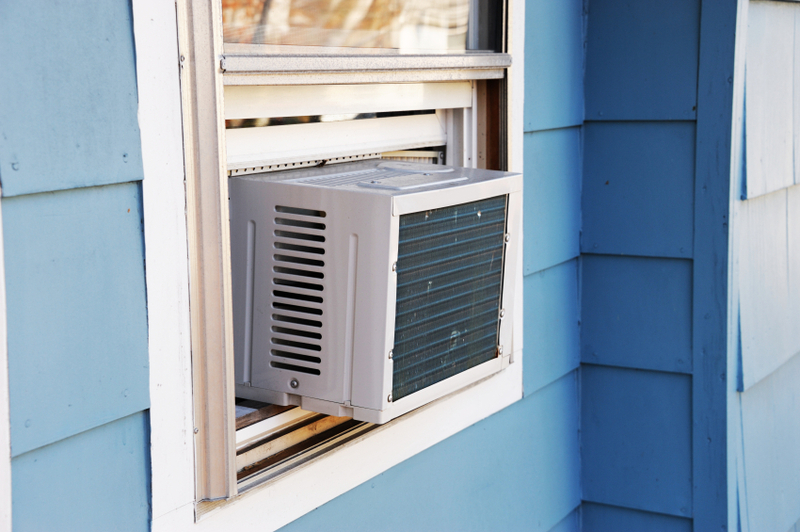 With these simple tips, you and your electric bill can stay cool this summer! What other tips can you share to get the most out of our air conditioner while saving on energy costs? My current air conditioning is starting to make weird noises whenever I turn it on. Thanks for pointing out that you should get it checked and cleaned each year before summer. I suppose that I should do that earlier rather than later. I’ll just need to find someone who can help my air conditioner stop making weird noises.